Nintendo Europe's senior marketing director Laurent Fischer might just have learned something from the bashing he received after his ill-judged comments to Edge the other week. Initially telling the magazine that storage space on the Wii should be an issue only for "geeks and otaku", Fischer has this week returned with an apology, and an update. 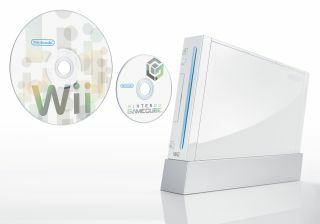 For a start, he insists his remarks were a "joke", and secondly he's revealed that, in terms of Wii storage, Nintendo are "working on a solution". Exactly what this might be remains mysterious, particularly as Fischer has stated that "Definitely there's no plan to issue hardware, an external hard drive, but we know that we have an issue in that area." He continued: "It's very obvious and we're perfectly aware of it, but there's nothing we can say beyond this." "This area is fully handled by the development team in Japan. It's linked to the overall strategy; that's something they're working on." Fischer's comments to Edge last week got him torn apart on forums by angry gamers, even provoking a direct response from God of War creator David Jaffe who called Fischer "arrogant" and said Nintendo should be "very ashamed" if his remarks reflected company thinking. "I really didn't use that terminology to describe the Nintendo consumer – it was something related basically to myself and to the journalists attending. It was a joke I made on myself and somehow it's been confused and taken out of context to define those consumers."